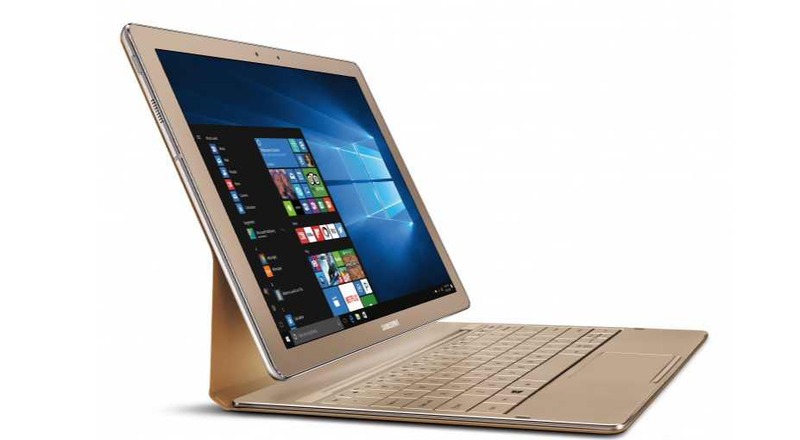 Samsung Galaxy TabPro S Gold Edition now launched. The latest Gold edition come with 8GB of RAM and a 256GB SSD. Apart from that other hardware specs is same. Samsung Galaxy TabPro S Gold Edition specs include 12-inch 2160×1440 Super AMOLED display, 2.2 GHz Intel Core M3 processor, 5 MP cameras (front and the back), Wi-Fi, Bluetooth, a USB Type-C port. The TabPro S is powered by the 5,200 mAh battery. You can run 10 hours of video playback on the device. You will get Windows 10 with the Tab. The new gold edition TabPro S will cost at $999.99. Whereas, the older model with 4GB of RAM and 128GB of storage now available for $799.99 with $100 discount. If you are interested in the Samsung TabPro S gold edition, head over to Samsung online store and Best Buy.